It is officially wedding season for the Pearson household, so be on the look out for lots of fabulous wedding themed posts in the coming weeks. In fact, this Labor Day, I am serving as the maid of honor in one of my best friend’s weddings! Her theme is Victorian Garden (so romantic) and I am currently brainstorming place card design and display ideas for the bride-to-be. That’s where you come in! After some detailed research I have identified three ideas that I hope the bride will think are simply spectacular. Now, I want to know what our Celebrate Everyday readers think. Please feel free to share your comments and vote for your favorite idea in the Poll. 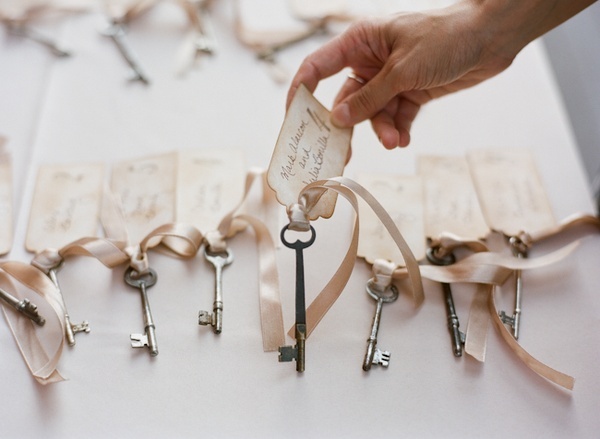 Not only do antique keys add a touch of Victorian style and truly unique character, they also play on the romantic concept of the groom having the key to the bride’s heart. The keys offers your photographer the opportunity to steal a few key-themed couple photos (see bride & groom photo below) and you can even use the keys for inspiration for your guest book. 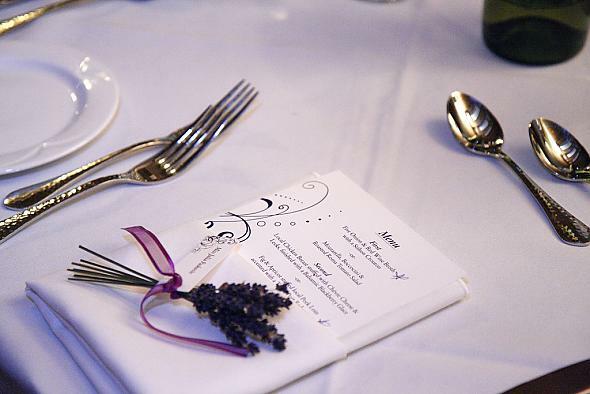 For example, you can ask guests to write “Keys to a successful marriage” on a card. This is definitely my favorite! 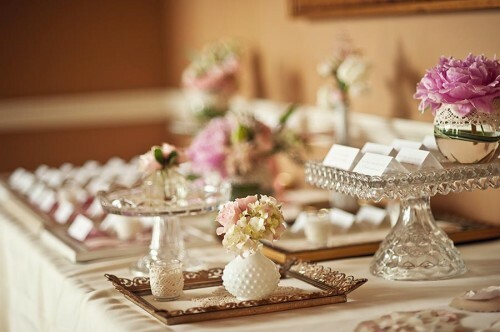 Place cards could be displayed on a variety of elegant class serving trays, surrounded by beautiful wedding blooms. 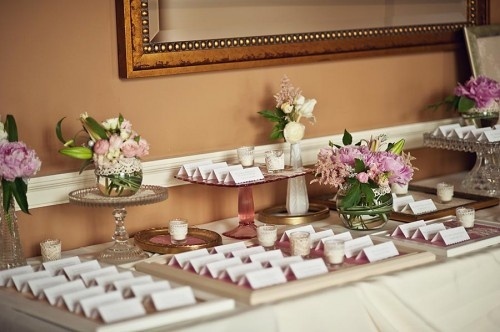 Antique and elegant frames can also be used to highlight place cards. This display is both simple and romantic. Another perfect option for the bride. 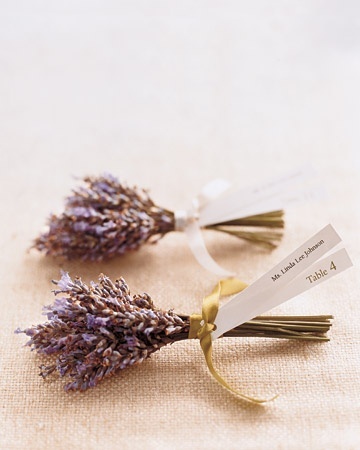 These garden, themed bundles would provide guests with a colorful and fragrant place card. Plus the purple color will absolutely highlight the eggplant colored bridesmaid dresses. It would make a beautiful touch to the cocktail reception. Posted in Something BlueTagged DIY, events, placecards, weddingsBookmark the permalink. Absolutely – thank you for providing credit back to our website. I am so happy to hear that you find the posts to be helpful. Enjoy Celebrating!